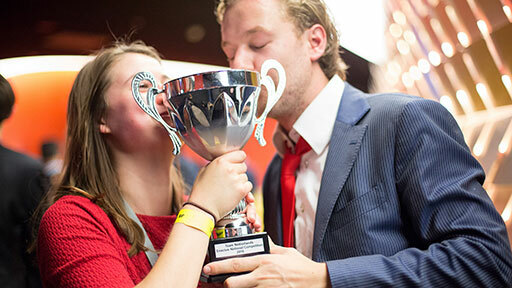 For the fourth year in a row, students from Utrecht University have won the right to represent Enactus Netherlands at the Enactus World Cup, taking place this year in Toronto in September. The team battled 12 other impressive teams from across the country, who all presented inspiring work helping people in their communities. After the opening round of competition, 56 executives serving as judges narrowed the field to a final four teams, who then took to the main stage to present to 33 top business leaders. 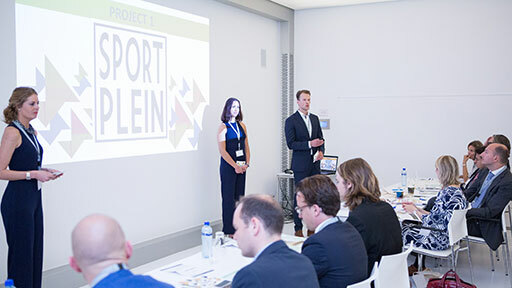 After the final round was kicked off with the finalist announcement and an address by Albert Arp, CEO of sponsor company Jaarbeurs, all attendees had the chance to experience the inspiring presentations. It quickly became clear that judges were facing a difficult task selecting one winner, and those at the event took to social media to share their thoughts and supports on the initiatives. 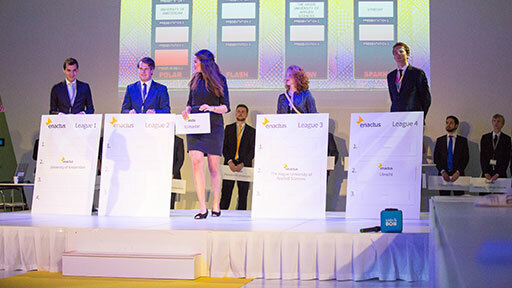 You can see a few of the posts below but check out #EnactusNC on Twitter for all the messages: it was trending throughout the event, thanks in large part to the great work of social ambassador Bas Kleijweg! Finally, Chris Heutink, CEO of Randstad Group, a key Enactus Netherlands sponsor, came on stage to announce the champion: Utrecht University. This veteran team led the group with their presentation focused on “the new standard”, the idea of making social entrepreneurship the standard instead of the exception. One initiative working to achieve that is their Gap in the Market project, which provides a platform for social and sustainable entrepreneurs to come together at markets and festivals, giving them the opportunity to expand their network while selling their products. They will now start preparing to represent the Netherlands when the world travels to Toronto this September for Enactus World Cup. Speaking of Canada, the saxophone quartet, Artvark, had the whole crown dancing and singing to Canadian singer Justin Bieber’s song ‘Sorry’ during their performance after the final round. Talk about getting in the Canadian spirit! This event was much more than just a competition: in celebration of Enactus’ support of the UN Global Goals, delegates had the opportunity to hear from Hugo von Meijenfeldt, Coordinator of Implementation Global Goals at Ministerie van Buitenlandse Zaken (Foreign Ministry) who shared how the country is approaching this challenge, inspiring all in the room to think about how they can help advance this important initiative. 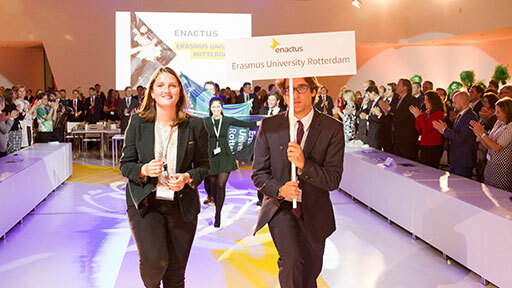 There was also a series of awards presented during the event recognizing individuals for their tremendous impact in building the Enactus program in the Netherlands. Alumni of the Year, Team Leader of the Year and the Team Spirit Award were all handed out. The team also shared this video during the competition, an updated on their Social Startup Accelerator program that was introduced at last year’s competition. They are doing amazing things, fostering social entrepreneurship so don’t miss it! 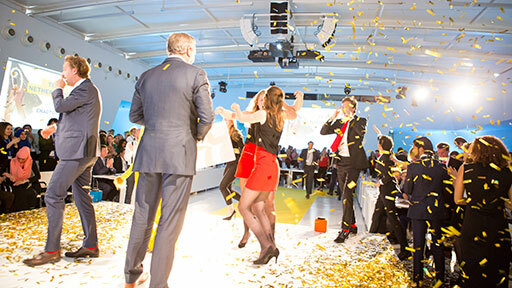 Have a favorite memory from this year’s Enactus Netherlands National Competition? Share it in the comments below!